One of the most popular and successful models in the Honda lineup is the Honda Civic. 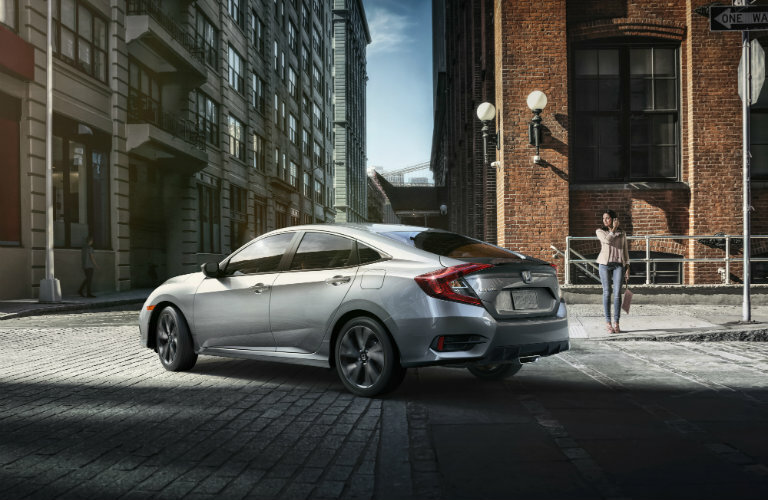 The Civic has been one of the most commonly driven compact cars in the world for the better part of the last two decades, and the 2019 model is perhaps the best one yet. The Civic is known for its style, modern technology, and engine performance, and here we are going to focus on the latter. Keep reading to learn more. What engine does the 2019 Honda Civic have? The answer to that question, as you may have guessed, is dependent on the trim level you go with. The base model (LX) and the Sport both come with a 158-horsepower, 2.0-liter DOHC i-VTEC® inline four-cylinder engine. These models are available with either a six-speed manual transmission or a two-speed continuously variable transmission. There are two additional engine options under the hood of the 2019 Civic. The EX, EX-L, and Touring models all come fitted with a 174-horsepower 1.5-liter DOHC I4 turbocharged engine. This added power is sure to give drivers a bit more of a thrill, but there is also an even more powerful option. The 2019 Honda Civic Si features an exclusive 205-horsepower, 1.5-liter turbocharged and intercooled DOHC I4 engine with direct injection. No matter what your engine preferences are, the Honda Civic has something for you! Come down to Matt Castrucci Honda in Dayton, OH to check out the 2019 Civic for yourself. Want to feel the power of one of these engines? We can get you set up with a test drive and go over everything else you could ever want to know about this great ride. We hope to see you soon! This entry was posted on Monday, January 21st, 2019 at 8:29 pm	and is filed under Honda Civic. You can follow any responses to this entry through the RSS 2.0 feed. Both comments and pings are currently closed.